Diabetes nurse educator Rinsky Webb will run the service that will help people living with diabetes. Bellarine Community Health is launching a new service which can significantly benefit people living with type 1 and type 2 diabetes. In partnership with Geelong Endocrinology and Diabetes, Bellarine Community Health is establishing specialist clinical consultations through video conferencing. The aim is to give people access to an endocrinologist without the need to travel. 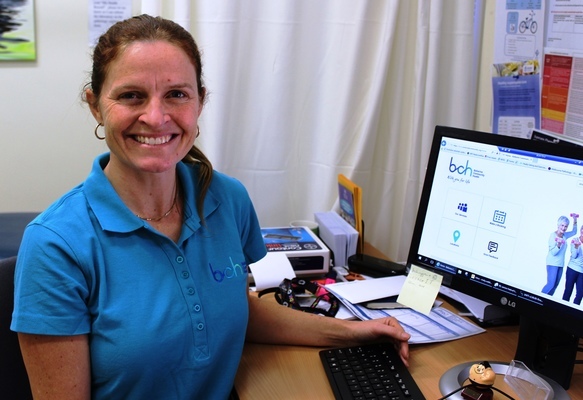 “Lack of transport and economic circumstances can impact on people’s ability to be able to access these sorts of specialist services,” says BCH diabetes nurse educator Rinsky Webb. Bellarine Community Health identified the need to improve client’s accessibility to specialist clinics. The Bellarine, and in particular the northern Bellarine, has a high incidence of diabetes. The national average of people living with diabetes is 5% but in the Portarlington area that figure is 8%. “We believe that by giving people living with diabetes access to these specialist clinics we can improve their outcomes and their quality of life,” Ms Webb said. The video consultations with Geelong Endocrinology and Diabetes will be conducted from Bellarine Community Health’s Portarlington site with the support of the diabetes nurse educator. To access the service clients will need a referral from their GP to Geelong Endocrinology and Diabetes. The referral needs to be forwarded to Bellarine Community Health’s intake team. The endocrinologists consultation will be bulk billed via Medicare. A small Community Health client contribution is required for the diabetes nurse educator. To find out more about eligibility and how to access this service, contact BCH on 5258 0812 or email intake@bch.org.au.